This article represents brief description of What is MEAN Stack Web/Mobile App. Coming from Java background, I thought it to present an analogy for Java developers to get a quick understanding on MEAN Web/Mobile App. Please feel free to comment/suggest if I missed to mention one or more important points. Also, sorry for the typos. What is MEAN Web/Mobile App? UI: This is taken care using HTML/CSS with JSP embedded tags to render dynamic data. Web/Application Server: The web server handles user requests and sends back the response after being processed using one or more services/components. 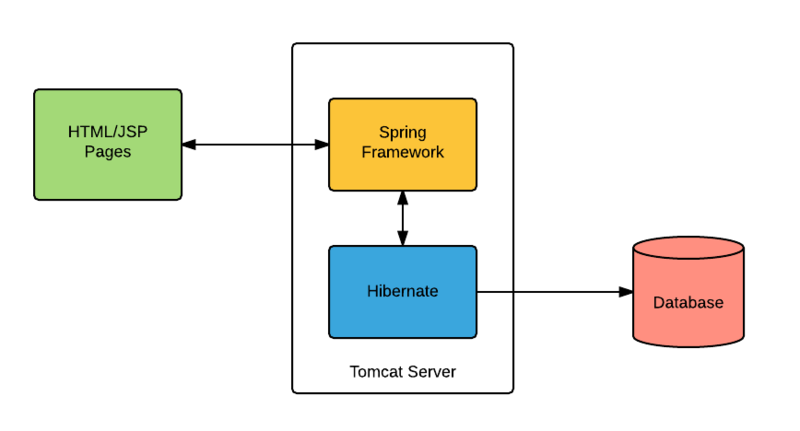 Example of such app server is Tomcat server. Web Framework: There is required a web framework to process the user requests/response. This is where framework such as Spring, Struts and other popular Java web frameworks fit in. Database: There are different databases that one could use. For example, MySQL, Oracle, SQL Server etc. Following diagram represents a JEE based web app. UI: This is taken care using AngularJS. Web Server: This is based on NodeJS. Web Framework: This is based on ExpressJS. 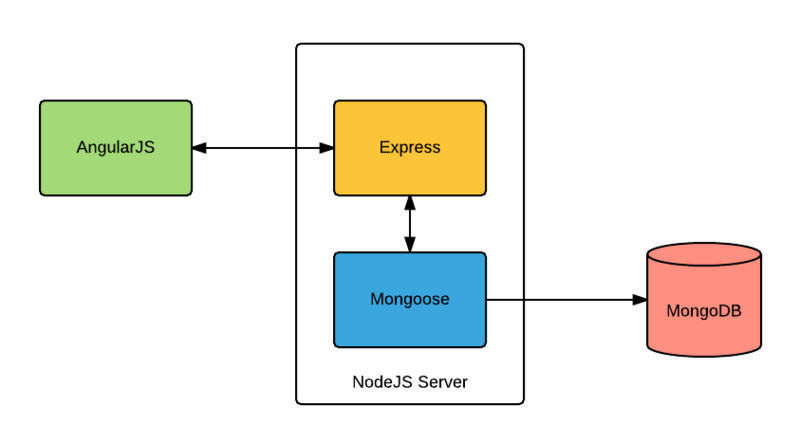 Mongoose is used to connect to MongoDB database. Database: The database is MongoDB.